Why Attend Rockwell Automation on the Move? · I saw new products from Rockwell Automation and the 65 Encompass Partner manufacturers. · I was able to collaborate with colleagues and customers – at the same time! · I gained technical insight by discussing solution scenarios for challenging applications. · I was able to Network, Network, Network! So, what was my favorite part? You guessed it, networking with you! It’s not often that you get the opportunity to discuss projects with everything you need right in front of you. I could walk customers over to a live demo or I could bring in a Rockwell-Automation and/or an Encompass Partner expert to join the discussion. We traded contact information and now we have even more resources at our disposal for future applications. Networking also allowed us to answer many of your questions right on the spot; and for those requiring further discussion, we documented those questions to be answered later. 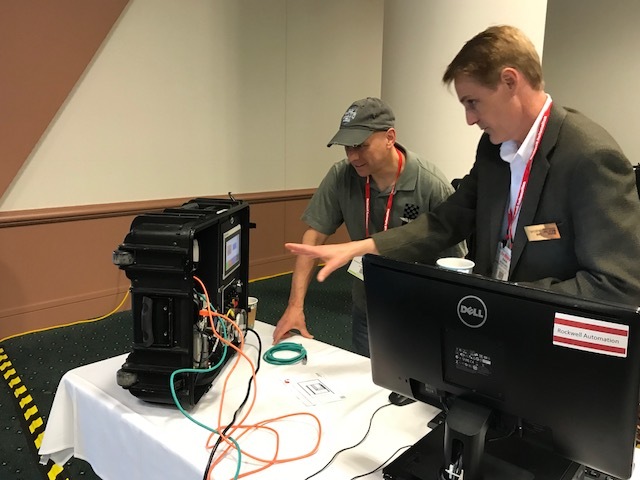 The Wisconsin Center proved to be a great venue, providing for an ample exhibit floor and plenty of room for the 45 Tech Sessions and 16 Hands On Labs. The Tech Sessions had very good attendance, with topics pertaining to the timely issues of the day. The Hands On Labs proved to be very popular, with a waiting list for many of the sessions. Rockwell even had to add extra lab sessions to help with the increase in demand. I look forward to working with all of you as we follow up with existing projects or explore new opportunities. Attending Rockwell Automation On The Move was well worth my time and effort and I hope that attending Customers and Encompass Partners felt the same. I can’t wait until we host Rockwell Automation’s Automation Fair in November of 2019 in Chicago. Automation Fair provides even more opportunity to learn, explore, and collaborate. And next year is Revere’s 100-Year anniversary and we are planning to celebrate in style. We look forward to you celebrating with us!